Welcome back! 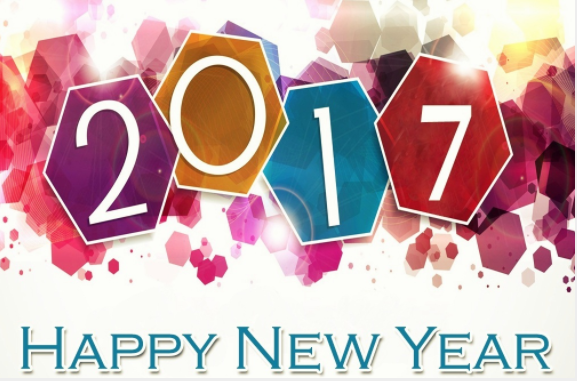 I am so excited for the start of the new year! I hope you all had a wonderful and restful break. As you know now, the second grade class is in the process of being split. The intent and hope of splitting the class is to positively impact the learning environment of each student. Due to the split happening in the middle of January, we have decided to postpone all second grade parent teacher conferences until February. This will give the students and new teacher more time to get into a routine and get acquainted with one another. The new teacher and I will send out sign-up forms for this time frame. I do apologize for any inconvenience this may cause with trying to coordinate conferences with other teachers. If you have any questions about this, please feel free to contact me about this. Visit our 2nd grade website! I have uploaded the guidelines for the social studies project and the math strategy. I will be updating and adding to the math strategies weekly. I will also create a page for reading strategies as well. Click on this link to get to our website. The Incredible Second Grade! We will be conducting another round of NWEA tests within the next two weeks. The students will be tested in math and reading. They should not last more than 2 days. If you do not wish to have your child take the test, please let me know. We have begun adding within 1,000. We have started with adding without regrouping. The students have done very well with this so far! Most of them are able to add two three digit numbers without having to regroup any numbers (regrouping is the same as carrying for us older folks). Once we learn how to regroup, I will be introducing a number tile activity that can be used at home. If you would like to jump ahead with your kiddo, please feel free. I always tell them that as long as they are getting the right answer, they can use any method that works best for them. We have taken a break from reading groups this week, but we will get back on track next week. I will be testing students as needed after completing each book. The testing will be based on their success in the reading groups. We are working on our state research project. I have listed the guidelines, instructions and rubrics in an attachment below. We will have plenty of class time to complete these projects; however, they may work on them at home if they choose to. This is not a requirement. This is the sheet that the students received earlier this week. Please feel free to email me or call me with any questions about this project. They have been working very hard on their research packets! We are wrapping up our narrative unit with an on-demand writing prompt and will be moving into informational writing after the class has been split. Adding two 3 digit numbers without regrouping. See the page below for the language that we use in class. I have tried to reinforce the steps. We use the vocabulary ones, tens and hundreds a lot. 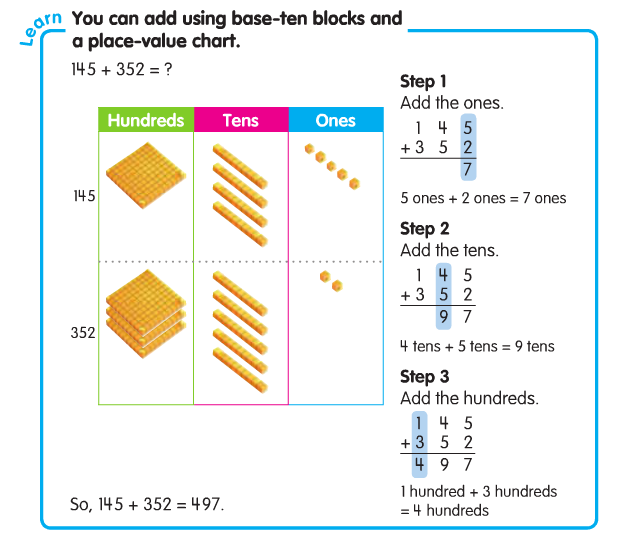 For example, in step two, I might say, “4 tens plus 5 tens is how many tens?” We have practiced using the base ten blocks to help create the numbers. If you do not have this at home, you can create a simple place value chart on paper that has a column for hundreds, tens and ones. Your kiddo can write or draw the number of hundreds tens and ones on the chart to help them add. Again, this is what we are doing in class. If you have a different strategy that helps your child understand it more, feel free to teach them your strategy.